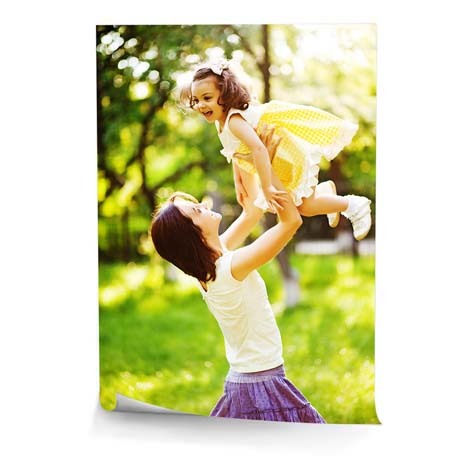 Our personalised canvas prints provide you with the perfect opportunity to display your cherished memories in style. 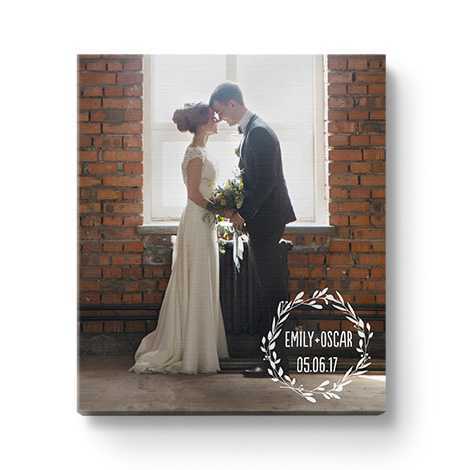 Whether you want to showcase a special moment from a family holiday or bring your wedding day photos to life, a canvas is a great way to give your best snaps some love and attention. 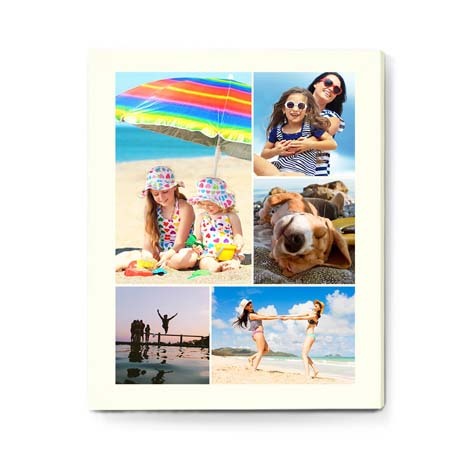 Classic and Slim Canvas Prints come in a range of sizes from a cute 8x8" to a stunning 30x30"
Available in 12 sizes, this premium canvas has a gorgeous satin-finish wrapped around a 1.5" deep frame. 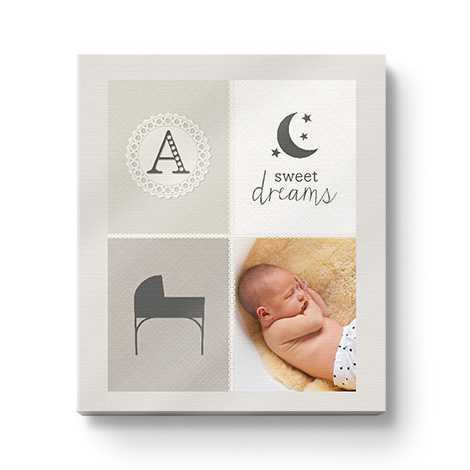 Decorate with our range of designer embellishments. Decorate home, office or nursery. 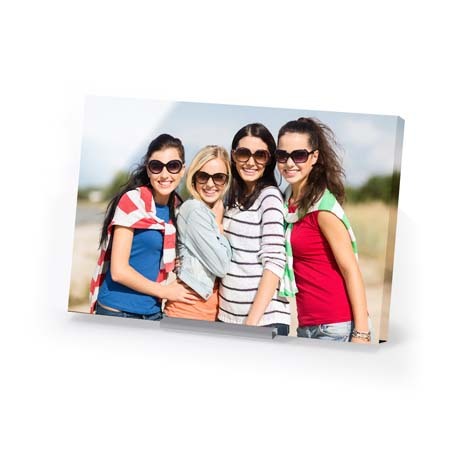 A budget-friendly canvas print, wrapped around a 0.7" wood frame lets you display photos from just £10. 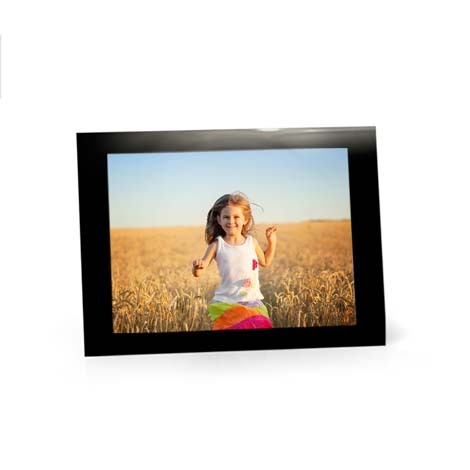 The 8x8" size is just perfect for showing off Instagram photos. They say a picture says 1000 words but sometimes your own words help bring the memory alive. With a wide range of fonts available you can say excatly what you want , how you want, at no additional cost. There’s a space on the wall of your room that’s absolutely shouting out for some show-stopping centrepieces. Canvas Prints are going to give your room the wow factor. Here’s how to make the perfect canvas to display on the walls of your home. 2. Once you’ve selected your Canvas type and size, you can now add your photo! 3. 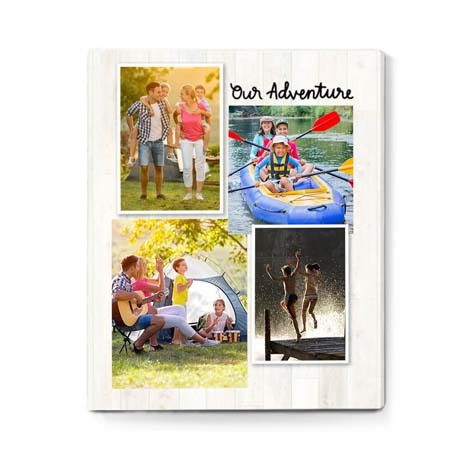 If you’re feeling creative, why not add some fun embellishments or turn your Canvas into a collage of your favourite images. 4. Once you’ve finished designing your Canvas, you’re ready to review & buy. Remember to check for cropping! 5. All that’s left to do now, is sit back, relax and wait for your work of art to be delivered! For tips on placing your Canvas like a pro, see our blog! 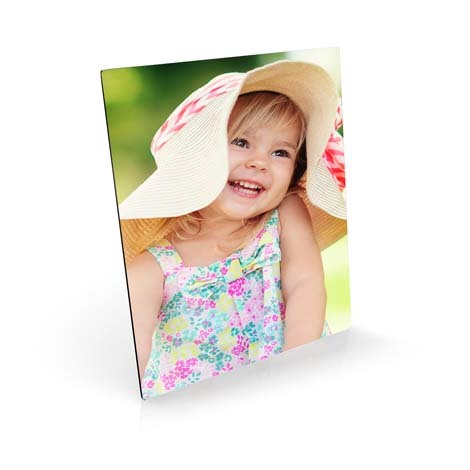 With Truprint, making photo canvas prints online is a hassle-free process. All you have to do is select your favourite photos and choose from a range of styles, sizes and designs to create a unique piece of art for your home. Both our classic and slim canvas prints come in a variety of sizes, from a small 8x8" to an eye-catching 30x30". 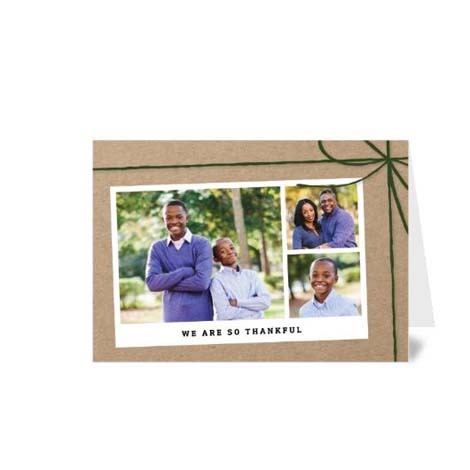 You can choose to display either a single photo or opt for a collage effect, and there’s also the chance to get creative with a wide selection of fun embellishments and finishing touches for no additional cost. 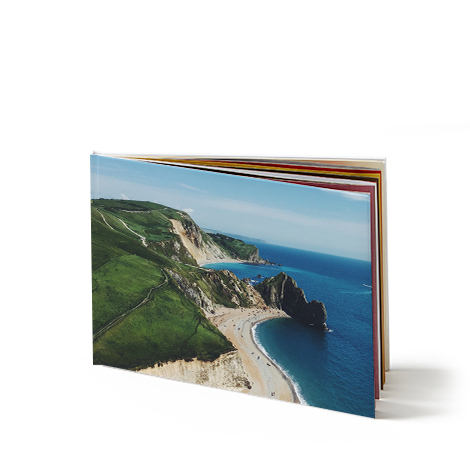 We’ve made sure that every step of the process is as simple as possible, from uploading photos, to creating your print, to processing the order. 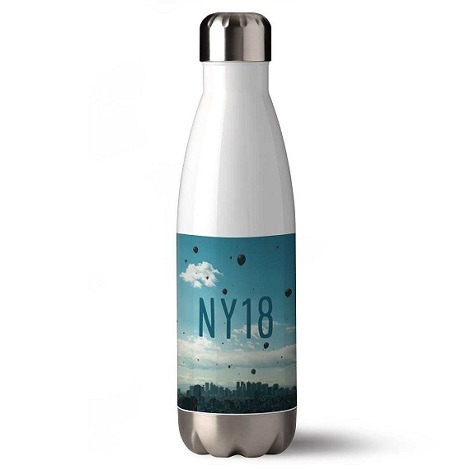 Whether you want a keepsake for yourself or you’re buying a gift for a loved one, you can rest assured that the results will be superb.